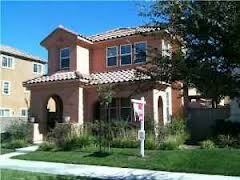 Otay Ranch is located next to Eastlake, Rancho Del Rey and the 805 freeway. Looking at a map, you'll notice it is situated directly south of Telegraph Canyon Road/Otay Lakes Road and north of Olympic Parkway. Downtown San Diego is just a short 20 minute drive which gives residents easy access to Little Italy and the Gaslamp District. Otay Ranch has convenient access to the South Bay Expressway, a toll-road extension of California State Route 125. Since its opening in November 2007 it has been connecting freeways 805 and 905 with State Route 54. Otay Ranch is sometimes referred to as a "Pedestrian-Friendly Community" due to its parks, shopping, walking/biking trails and community involvement. After the initial planning process it took a few short years for Otay Ranch to grow into an active community. With the latest in architectural home design in their numerous housing developments, Otay Ranch has just the right home for everyone. Home prices range from $300,000-$450,000 for a condo/townhome and $400,000-$800,000 for a detached single family house. This community has many developments which offer granny flats, casitas and downstairs master bedrooms, all of which are in very high demand. Terraza - 2 & 3 story single family detached homes - 2 car garages, 1,966 - 2,833 sq. ft. 3-6 bedrooms. Santa Barbara - Pacific Coast Communities with 2 story single family detached homes with 2 car garages 2,825 - 3,232 sq. ft. 5-6 bedrooms with guest residence. Santa Rita - Heritage Building & Development. 2-3 story single family homes, 3 car garages, 2,440 - 2,843 sq. ft. 2-3 bedrooms. Villas De Avila - Pacific Coast Communities, 2-3 story duplex homes with 2 car garages. 1,556 - 2,250 sq. ft. with 3-6 bedrooms. Casitas De Avila - Heritage Building & Development. 2-3 story single family cottage homes with 2 car garages, 1,648 - 2,198 sq. ft. 3-7 bedrooms. Avalon - Sunrise Company. 1 & 2 level townhomes, 1 & 2 car garages with 1,163 - 1,493 sq. ft. with 2 bedrooms. There are three pedestrian parks positioned throughout the village, giving residents easy to walk to places for recreation and relaxation. There are five elementary schools in the Chula Vista Elementary School District that serve the Otay Ranch area; they are Heritage Elementary, McMillin Elementary, Hedenkamp Elementary, Veterans Elementary and Wolf Canyon Elementary. Most of the home owners live within walking distance of these award winning schools. Older students attend Rancho del Rey Middle School, Olympian High School and Otay Ranch High School. An interesting fact about Otay Ranch High is that their 197,000 square foot campus features an Administration of Justice Academy that works in conjunction with the Chula Vista Police Department. If you live in Otay Ranch or any one of the many Eastlake communities, you'll love the shopping experience at the Otay Ranch Town Center. This unique shopping mall is not your typical mall. This mall is known as a "lifestyle center" with store fronts actually facing a main street. This gives you the feel of an actual mini downtown shopping district. Otay Ranch Town Center is located at Eastlake Parkway and Olympic Parkway in Chula Vista. The center is anchored by giant department stores with a plethora of specialty shops and restaurants. It has a family-orientated, dog-friendly atmosphere and boasts a 10,000 square foot Dog Park for owners who wish to bring their dogs along while shopping. If you're considering a change of scenery or looking to buy a house or an investment property, Otay Ranch is a must stop - you won't be disappointed!